These bulbs are not purchased directly from the manufacturer. We purchased these bulbs from auctions and businesses that discontinued selling bulbs or went out of business. All are new and most are in original display boxes. Some of the boxes may be ragged or missing, but the lamps are guaranteed new. Most of the lamps are GE or Sylvania brand. Some of these lamps are other brands like 3M, Apollo, Atlas, Avigo, Bell & Howell, BIAI, BMG, Candex, CEW, Chicago Miniature, Colortran, Cool-Lux, Dorcy International Inc, Durst, Eiki, Eiko, EYE, Filmo, Gilway, GOKO, Kalimar, Kando, Kandolite, Ken-Rad, Kondo, Lamco, Narva, Norelco, Olson, Olympus, Omega, Orion, Osram, P&B, Philips, Ponder & Best, Prism, Radiac, Radiant, Radium, Riluma, RCA, Satco Products, Sifang, Sunlux, Sunpak, Thorn, TP Hi-Lite, Ushio, Westinghouse and Wiko. If you have an inventory of new bulbs you no longer need, let me know and I will make you an offer for them. Some lamps have the expected life of the lamp listed in their description. Your lamp life results may vary. There are several factors which affect the life of a lamp. Finger prints on lamps can dramatically reduce the life of a lamp. This is especially true with higher wattage lamps. The amount of voltage used relative to the rated voltage increases or decreases the lamps life. Any jarring of the lamp can damage the filament. This isespecially true with lamps after they have been used as the metal becomes brittle in the heating and cooling process. For more information on handling lamps please refer to our home page. HPR51 $2.87 6.5V .7A/T-3 SC Mini Flange Base 40046 90 Lumens C-6 MOL 1.25"/31.8mm MOD .38"/9.6mm 25 Hours T-3 P13.5s For 5 "D" Flashlight Halogen 300% brighter than regular bulbs Halogen bulbs used with alkaline batteries are 300% brighter than regular bulbs powered by carbon batteries. 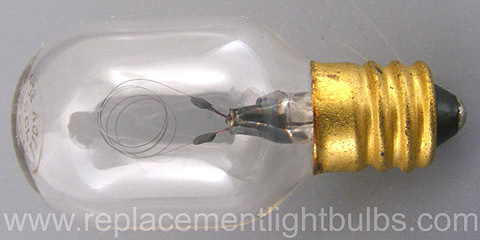 Use this bulb only in lighting devices designed for halogen bulbs. JTT120V-1000W-3200°K $20.00 Kandolite, JT, 120V, 1000W, FV-SL1000 for the Photoflex Starlite, FVSL1000 120V1000WC, Amvona Dynaphos, 22000 Lumens, MOL 255mm, MOD 38mm, JTTE40, JT120V-1000WC, FV-SL1000-1, JTT9090 JT120V-1000WB, Dynaphos, JT120V-1000WC/E40, DP-B1000, Photo Digital Video Tungsten Light Kit DP1497R, DP-1497R, MOL 7.75"
GE 41829, R1000, 1000W, Multivapor, M47/S, 15,000 Hours Vertical, 11,000 Hours Horizontal, Universal Burn Position, BT56, 7" Diameter Coated Glass, E40 Export Mogul Screw, High Intensity Discharge, Quartz Metal Halide, Initial Lumens Horizontal 96,600, Initial Lumens Vertical 105,000, Mean Lumens Horizontal 73,000, Mean Lumens Vertical 80,000, 3700K, CRI 65, Universal Burn Position, Warm Up Time to 90% Minimum 2 Minutes, Warm Up Time to 90% Maximum 5 Minutes, Hot Restart Time to 90% Minimum 10 Minutes, Hot Restart Time to 90% Maximum 15 Minutes, MOL 15.37", LCL 9.5"
GE 43710, 500W, 120V, 2000 Hours, CG41-QA4, CG61-L, CG61MMCE, Res. #9736268, T-4 .5" Diameter Clear Finish Glass, 500 Watts, 120 Volts, BA15d Double Contact Bayonet Base, IC353, CC-8 Filament, Halogen, 10450 Lumens, 2950K, MOL 3.44", LCL 2.12"
CM8-A209, 12V, .7A, 700MA, 8.4W, P13.5s, KPR120, 14CP, 15 Hours, T3.25, MOL 1.1", LCL .25"